Vossen P., S. Báez, L. Bajčetić, S. Bašić, B. Kraaijeveld, ”A communicative robot to learn about us and the world”, in Proceedings of the Russian Conference on Computational Linguistics “Dialogue 2019“, Moscow, Russia, May 29 – June 1, 2019. Vossen P.“Kunstmatige Kunst: Gaat AI de kunstenaar vervangen?”, tijdschrift Boekman van de Boekmanstichting (kenniscentrum voor kunst, cultuur en beleid), Nummer 116, Najaar 2018, 30ste Jaargang, pag. 4-7. Vossen P., S. Baez, L. Bajčetić, B. Kraaijeveld, “Leolani: a reference machine with a theory of mind for social communication“, invited keynote paper,” in Proceedings of 21st International Conference on Text, Speech and Dialogue (TSD-2018), Brno, Czech Republic, September 11-14, 2018. Miltenburg, E. van, D. Elliott, P/ Vossen P. “Talking about other people: an endless range of possibilities“, in: Proceedings of the 11th International Conference on Natural Language Generation (pp. 415-420). 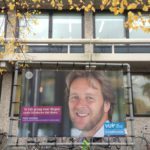 Tilburg University. E. van Miltenburg, D. Elliott, P. Vossen, “Measuring the Diversity of Automatic Image Descriptions”: in: Proceedings of the the International Conference on Computational Linguistics (COLING 2018), Santa Fe, New Mexico, USA, August 20-25, 2018. F. Ilievski, P. Vossen, S. Schlobach, “Systematic Study of Long Tail Phenomena in Entity Linking”, in: Proceedings of the the International Conference on Computational Linguistics (COLING 2018), Santa Fe, New Mexico, USA, August 20-25, 2018. M. Le, M. Postma, J. Urbani, P. Vossen, “Deep Dive into Word Sense Disambiguation with LSTM”, in: Proceedings of the the International Conference on Computational Linguistics (COLING 2018), Santa Fe, New Mexico, USA, August 20-25, 2018. Son Ch. van, R. Morante, L. Aroyo, P. Vossen, “Scoring and Classifying Implicit Positive Interpretations: A Challenge of Class Imbalance”, in: Proceedings of the the International Conference on Computational Linguistics (COLING 2018), Santa Fe, New Mexico, USA, August 20-25, 2018. Postma M., F. Ilievski, and P. Vossen, “Semeval-2018 task 5: counting events and participants in the long tail,” in: Proceedings of the 12th International Workshop on Semantic Evaluation (SemEval2018), New Orleans, Louisiana, June 5-6, 2018. Vossen P., “Newsreader at semeval-2018 task 5: counting events by reasoning over event-centric-knowledge-graphs,” in Proceedings of the 12th International Workshop on Semantic Evaluation (SemEval2018), New Orleans, Louisiana, June 5-6, 2018. Vossen, A. Fokkens, I. Maks, C. V. Son, “Towards an Open Dutch FrameNet lexicon and corpus”, in Proceedings of the 11th edition of the Language Resources and Evaluation Conference (LREC2018), Miyazaki, Japan, May 7-12, 2018. Son van C., L. Aroyo, O. Inel, R. Morante, P. Vossen “A Review of the Interoperability between Similar or Complementary Linguistic Annotations in Overlapping Corpora: The Case of Events”, in Proceedings of the 11th edition of the Language Resources and Evaluation Conference (LREC2018), Miyazaki, Japan, May 7-12, 2018. Vossen P., Piek Vossen, M. Postma, F. Ilievski “Don’t Annotate, but Validate: a Data-to-Text Method for Capturing Event Data, in Proceedings of the 11th edition of the Language Resources and Evaluation Conference (LREC2018), Miyazaki, Japan, May 7-12, 2018. Segers R., T.Caselli, P. Vossen “The Circumstantial Event Ontology (CEO) and ECB+/CEO; an Ontology and Corpus for Implicit Causal Relations between Events”, in Proceedings of the 11th edition of the Language Resources and Evaluation Conference (LREC2018), Miyazaki, Japan, May 7-12, 2018. Vossen, F. Ilievski, M. Postma “ReferenceNet: a semantic-pragmatic network for capturing reference relations” in: Proceedings of the 9th Global WordNet Conference 2018 (GWC2018), Singapore, January 8-12, 2018. Vossen P. “How concrete do we get telling stories?” in: Abstract Concepts: Structure, Processing and Modeling, Topics in Cognitive Science (topiCS), fc. Fokkens A., P. Vossen, M. Rospocher, R. Hoekstra, and W. van Hage, “Grasp: grounded representation and source perspective,” in Proceedings of Knowledge Resources for the Socio-Economic Sciences and Humanities (knowRSH), co-located with RANLP2017, Varna, Bulgaria, September 7, 2017. Meersbergen M. van, P. Vossen, J. van der Zwaan, A. Fokkens, W. van Hage, I. Leemans, and I. Maks, “Storyteller: visual analytics of perspectives on rich text interpretations,” in Proceedings of the workshop NLP meets Journalism, co-located with EMNLP-2017, Copenhagen, Denmark, September 7, 2017. Miltenburg E. van, D. Elliott, P. Vossen “Cross-linguistic differences and similarities in image descriptions”, in: Proceedings of the International Conference on Natural Language Generation (INLG 2017), Santiago de Compostela, Spain, September 4-7, 2017. Caselli T., P. Vossen “The Event StoryLine Corpus: A New Benchmark for Causal and Temporal Relation Extraction”, in Proceedings of the workshop Events and Stories in the News co-located with the Annual Meeting of the Association for Computational Linguistics (ACL2017), Vancouver, Canada, August 4, 2017. Segers R., T. Caselli, P. Vossen “The Circumstantial Event Ontology (CEO)”, in Proceedings of the workshop Events and Stories in the News co-located with the Annual Meeting of the Association for Computational Linguistics (ACL2017), Vancouver, Canada, August 4, 2017. Ilievski F., P. Vossen, M. van Erp “Hunger for Contextual Knowledge and a Road Map to Intelligent Entity Linking”, in: Proceedings of Language Data and Knowledge (LDK 2017), Galway, Ireland on 19-20 June 2017, also available as Lecture Notes in Computer Science (LNCS), Springer. van Erp, M., P. Vossen “Multilingual Fine-Grained Entity Typing” in: Proceedings of Language Data and Knowledge (LDK 2017), Galway, Ireland on 19-20 June 2017, also available as Lecture Notes in Computer Science (LNCS), Springer. Postma M., R. Izquierdo, and P. Vossen, “More is not always better: balancing sense distributions for all-words word sense disambiguation,” in: Proceedings of the 26th International Conference on Computational Linguistics (COLING 2016), Osaka, Japan, December 11-16, 2016. Ilievski F., M. Postma, and P. Vossen, “Semantic Overfitting: what `world’ do we consider when evaluating disambiguation of text?,” in Proceedings of the 26th International Conference on Computational Linguistics (COLING 2016), Osaka, Japan, December 11-16, 2016. Postma M., F. Ilievski, P. Vossen, and M. van Erp, “Moving away from semantic overfitting in disambiguation datasets,” in Proceedings of the EMNLP Workshop on Uphill Battles in Language Processing, Austin, Texas, November 5, 2016. Son C. van, T. Caselli, A. Fokkens, I. Maks, R. Morante, L. Aroyo, and P. Vossen “Unshared Task at the 3rd Workshop on Argument Mining: perspective based local agreement and disagreement in online debate,” in Proceedings of the 3rd Workshop on Argument Mining co-located with ACL2016, Berlin, Germany, August 12, 2016. Vossen, R. Agerri, I. Aldabe, A. Cybulska, M. Van Erp, A.Fokkens, E. Laparra, A. Minar, A. Palmero Aprosio, G. Rigau, M. “NewsReader: using knowledge resources in a cross-lingual reading machine to generate more knowledge from massive streams of news“, in Knowledge-Based Systems, ScienceDirect, Elsevier BV. July 2016. Erp van M., P. Vossen “Deep Reading for Disasters”, in: Proceeding of Interdisciplinary International Workshop on Risk Information Management, Risk Models and Applications RIMMA2016, Berlin, Germany, June 27-28, 2016. Vossen P. “Ouroborus: Objectivity of the subjective process of Interpretation“, in: Tijdschrift voor Kwalitatief Onderzoek (KWALON), 2016 (21)1, Special Issue Qualitative Research in the digital Humanities. Maks I., M. van Erp, P. Vossen, R. Hoekstra, Ni. van der Sijs “Integrating and Enriching Diachronous Conceptual Lexicons through Linked Open Data”, in proceedings of DHBenelux Conference 2016, Belval, Luxemburg, June 9-10, 2016. Zwaan van der J., M. van Meersbergen, A. Fokkens, S. ter Braake, I. Leemans, E. Kuijpers, P. Vossen, I. Maks, “Storyteller: visualizing perspectives in digital humanities projects,” in Proceedings of the 2nd ifip international workshop on computational history and data-driven humanities, Dublin, Ireland, Ireland, May 25, 2016. Fokkens A., S. ter Braake, N. Ockeloen, P. Vossen, S. Legêne, G. Schreiber, V.de Boer “BiographyNet: Extracting Relations Between People and Events”, in: Tagungsband “Europa baut auf Biographien“, Österreichischen Akademie der Wissenschaften. Zwaan van der J., M. van Meersbergen, A. Fokkens, S. ter Braake, I. Leemans, E. Kuijpers, P. Vossen, I. Maks. Storyteller “Visualizing Perspectives in Digital Humanities Projects”, in: Proceedings of the 2nd IFIP International Workshop on Computational History and Data-driven Humanities, Dublin, Ireland, May 25, 2016. Agerri R, I. Aldabe, E. Laparra, G. Rigau, A. Fokkens, P. Huijgen, R. Izquierdo, M. van Erp, P. Vossen, A. Minard, B.Magnini “Multilingual Event Detection using the NewsReader Pipelines”, in: Proceedings of the Cross-Platform Text Mining and Natural Language Processing Interoperability workshop co-located with the 10th edition of the Language Resources and Evaluation Conference ( LREC2016), Portorož, Slovenia, May 23-28 2016. Segers R., M. Rospocher, P. Vossen, E. Laparra, G. Rigau, A. Minard “The Event and Implied Situation Ontology: Application and Evaluation“, in: Proceedings of the 10th edition of the Language Resources and Evaluation Conference ( LREC2016), Portorož, Slovenia, May 23-28 2016. Son van Ch., T. Caselli, A. Fokkens, I. Maks, R. Morante, L. Aroyo, P. Vossen “GRaSP: A multi-layered annotation scheme for perspective“, in: Proceedings of the 10th edition of the Language Resources and Evaluation Conference ( LREC2016), Portorož, Slovenia, May 23-28 2016. Postma M., R. Izquierdo, E. Agirre, G. Rigau, P. Vossen “Addressing the MFS bias in WSD systems Authors“, in: Proceedings of the 10th edition of the Language Resources and Evaluation Conference ( LREC2016), Portorož, Slovenia, May 23-28 2016. Vossen, A. Cybulska “Identity and Granularity of Events in Text”, in: Proceedings of the 17th 17th International Conference on Intelligent Text Processing and Computational Linguistics conference (CICLING2016), Springer’s Lecture Notes in Computer Science (LNCS), Konya, Turkey, April 3–9, 2016. Vossen P., F. Bond, J. McCrae “Toward a truly multilingual GlobalWordnet Grid”, in: Proceedings of the 8th Global WordNet Conference 2016 (GWC2016) in Bucharest, Romania, January 27-30, 2016. Segers R., E. Laparra, M.Rospocher, P. Vossen, Ge. Rigau, F. Ilievski “The Predicate Matrix and the Event and Implied Situation Ontology: Making More of 360 Events”, in: Proceedings of the 8th Global WordNet Conference 2016 (GWC2016) in Bucharest, Romania, January 27-30, 2016. Bond F., P. Vossen, J. McCrae, Ch. Fellbaum “CILI: the Collaborative Interlingual Index”, in: Proceedings of the 8th Global WordNet Conference 2016 (GWC2016) in Bucharest, Romania, January 27-30, 2016. Postma M., E. van Miltenburg, R. Segers, A. Schoen, and P. Vossen “Open dutch wordnet,” in: Proceedings of the 8th Global WordNet Conference 2016 (GWC2016) in Bucharest, Romania, January 27-30, 2016. Rospocher M., M. van Erp, , P. Vossen, A. Fokkens, I. Aldabec, G. Rigau, A. Soroa, T. Ploeger, T. Bogaard “Building event-centric knowledge graphs from News“, in: Journal Web Semantics: Science, Services and Agents on the World Wide Web, Elsevier, 2016. Son Ch. van, M. van Erp, A. Fokkens, P. Huygen, R.Izquierdo Bevia, P. Vossen “Details from a distance? A Dutch pipeline for event detection”, in: Proceedings of the 26th Meeting of Computational Linguistics in the Netherlands (CLIN26), Amsterdam, the Netherlands, December 18, 2015. Segers R., P. Vossen “The Event and Implied Situation Ontology (ESO)”, in: Proceedings of the 26th Meeting of Computational Linguistics in the Netherlands (CLIN26), Amsterdam, the Netherlands, December 18, 2015. Erp M. van, F. Ilievski, M. Rospocher, P. Vossen “Missing Mr. Brown and buying an Abraham Lincoln – Dark Entities and DBpedia“, in: Proceedings of the 14th International Semantic Web Conference (ISWC2015), Bethlehem, Pennsylvania, USA, October 11-15, 2015. Vossen, P., Caselli T., Kontzopoulou Y., “Storylines for structuring massive streams of news“, in Proceedings of the First Workshop on Computing News Storylines, Beijing, China, July 26-31, 2015. Vossen P. , E. Laparra, G. Rigau, I. Aldabe. : “Semantic Interoperability for Cross-lingual and cross-document Event Detection“, in: Proceedings of the 3rd Workshop on EVENTS: Definition, Detection, Coreference, and Representation (co-located with NAACL-2015), Denver, Colorado, June 4, 2015. Cybulska A., Vossen P.: “Translating Granularity of Event Slots into Features for Event Coreference Resolution“, in: Proceedings of the 3rd Workshop on EVENTS: Definition, Detection, Coreference, and Representation (co-located with NAACL-2015), Denver, Colorado, June 4, 2015. Cybulska A., Vossen P.: “Bag of Events” Approach to Event Coreference Resolution. Supervised Classification of Event Templates”, in proceedings of the 16th Cicling 2015 (co-located: 1st International Arabic Computational Linguistics Conference), Cairo, Egypt, April 14–20, 2015 [also Springer Lecture Note in Computer Science Vol. 9042 ISBN 978-3-319-18117-2. Vossen P., T. Caselli, F. Ilievski, R.Izquierdo, A. Lopopolo, E. van Miltenburg, R., M. Ngoc L´e, M. Postma, “Words in context: a reference perspective on the lexicon“, in Proceedings of MAPLEX 2015, Yamagata, Japan, February 9-10 2015. Segers R., P. Vossen, M. Rospocher, L. Serafini, E.Laparra, G. Rigau. “ESO: a Frame based Ontology for Events and Implied Situations”, in Proceedings of MAPLEX 2015, Yamagata, Japan, February 9-10 2015. Ilievski F., M. van Erp, P. Vossen, W. Beek, S. Schlobach: “Named Entity Disambiguation with two-stage coherence optimization”, in proceedings of 25th Meeting of Computational Linguistics in the Netherlands (CLIN2015), February 5-6, 2015, University of Antwerp, Belgium. Caselli T., A. Fokkens, R. Morante, P. Vossen: “What happened to …?” Entity-based Timeline Extraction, in proceedings of 25th Meeting of Computational Linguistics in the Netherlands (CLIN2015), February 5-6, 2015, University of Antwerp, Belgium. Postma M, VossenP., “Open Source Dutch WordNet”, in proceedings of 25th Meeting of Computational Linguistics in the Netherlands (CLIN2015), February 5-6, 2015, University of Antwerp, Belgium. Izquierdo R., M. Postma, P. Vossen “Error analysis of Word Sense Disambiguation”, in proceedings of 25th Meeting of Computational Linguistics in the Netherlands (CLIN2015), February 5-6, 2015, University of Antwerp, Belgium. Erp van M., A. Fokkens, Vossen: “Finding Stories in 1,784,532 Events: Scaling up computational models of narrative”, in: proceedings of te workshop on Computational Models of Narrative (CMN’14), July 31–August 2, 2014, Quebec City, Canada. Fokkens A, A. Soroa, Z. Beloki, N. Ockeloen, P. Vossen, G. Rigau, W. van Hage: “NAF and GAF: Linking Linguistic Annotations“, in: Proceedings of 10th Joint ACL – ISO Workshop on Interoperable Semantic Annotation (ISA-10), Reykjavik, May 26, 2014 in conjunction with the 9th Language Resources and Evaluation Conference (LREC2014), 26-31 May, 2014, Reykjavik, Iceland. Vossen P., G. Rigau, L. Serafini, P. Stouten, F. Irving, W. Van Hage: “NewsReader: recording history from daily news streams“, in Proceedings of the 9th Language Resources and Evaluation Conference (LREC2014), 26-31 May, 2014, Reykjavik, Iceland. Maks I., R. Izquierdo, F. Frontini, M. Cuadros, R. Agerri and P. Vossen: “Generating Polarity Lexicons with WordNet propagation in 5 languages“, in: Proceedings of the 9th Language Resources and Evaluation Conference (LREC2014), 26-31 May, 2014, Reykjavik, Iceland. Cybulska A., P. Vossen: “Using a sledgehammer to crack a nut? Lexical diversity and event coreference resolution“, in: Proceedings of the 9th Language Resources and Evaluation Conference (LREC2014), 26-31 May, 2014, Reykjavik, Iceland. van Son Ch, van, M. van Erp, A. Fokkens, P. Vossen. “Hope and Fear: How Opinions Influence Factuality“, in: Proceedings of the 9th Language Resources and Evaluation Conference (LREC2014), 26-31 May, 2014, Reykjavik, Iceland. Cybulska A, P. Vossen. “Granularity for Event Coreference Resolution”, in: Proceedings of the 9th Language Resources and Evaluation Conference (LREC2014), 26-31 May, 2014, Reykjavik, Iceland. van Erp, M., M. Nijsen, G. Satyukov, P. Vossen. “Discovering and visualising stories in news“, in Proceedings of the 9th Language Resources and Evaluation Conference (LREC2014), 26-31 May, 2014, Reykjavik, Iceland. Postma M., P. Vossen. “What implementation and translation teach us: the case of semantic similarity measures in wordnets“, in: Proceedings of the 7th Global WordNet Conference (GWC2014), Orav H., Vossen, P., Ch. Fellbaum (Eds. ), ISBN 978-9949-32-492-7, p. 133-142, January 25-29, 2014, Tartu, Estonia. Maks I., R. Izquierdo and P. Vossen. “OpeNER and the automatic generation of sentiment lexicons in five languages”, Computational Linguistics on The Netherlands, CLIN-2014, Institute for Dutch terminology and the Dutch-Flemish HLT Agency, January 17, 2014, Leiden, Netherlands. Ockeloen N., A. Fokkens, S. ter Braake, P. Vossen. “BiographyNet: Managing Provenance at multiple levels and from different perspectives“, in: Proceedings of the Linked Science workshop at the 12th International Semantic Web Conference and the 1st Australasian Semantic Web Conference (ISWC2013), E. Blomqvist & T. Groza (Eds. ), open access, 21-25 October 2013, Sydney, Australia. Vossen P. R. Izquierdo, A. Gorog. “DutchSemCor: in quest of the ideal sense-tagged corpus” in: Proceedings of Recent Advances in Natural Language Processing (RANLP-2013), G. Angelova, K. Bontcheva, R. Mitkov (Eds), Publ. Printed by INCOMA Ltd. Shoumen, Bulgaria, ISSN 1313-8502, p. 710–718, Hissar, Bulgaria, September 7-14, 2013. Maks I., P. Vossen. “Sentiment Analysis of Reviews: Should we analyze writer intentions or reader perceptions?”, in: Proceedings of Recent Advances in Natural Language Processing (RANLP-2013), G. Angelova, K. Bontcheva, R. Mitkov (Eds), Publ. Printed by INCOMA Ltd. Shoumen, Bulgaria, ISSN 1313-8502, p. 415–419, Hissar, Bulgaria, September 7-14, 2013. Cybulska A., P. Vossen. “Semantic Relations between Events and their Time, Locations and Participants for Event Coreference Resolution“, in: Proceedings of Recent Advances in Natural Language Processing (RANLP-2013), G. Angelova, K. Bontcheva, R. Mitkov (Eds), Publ. Printed by INCOMA Ltd. Shoumen, Bulgaria, ISSN 1313-8502, p. 156–163, Hissar, Bulgaria, September 7-14, 2013. Fokkens A., M. van Erp, M. Postma, T. Pedersen, P. Vossen, N. Freire. “Offspring from Reproduction Problems: What Replication Failure Teaches Us“, in: Proceedings of the 51st Annual Meeting of the Association for Computational Linguistics (ACL 2013) in the area “Language Resources”, P. Fung, M. Poesio (Eds). Publ. Association for Computational Linguistics, ISBN 978-1-937284-50-3, p. 1691-1701, Bulgaria, August 4-9 2013: Runner up Best Paper Award. Fokkens A., M. van Erp, P. Vossen, S. Tonelli, W. van Hage, L. Serafini, R. Sprugnoli, J. Hoeksema. “GAF: A Grounded Annotation Framework for Events“, in: Proceedings of the 1st workshop on Events: Definition, Detection, Coreference, and Representation at the Conference of the North American Chapter of the Association for Computational Linguistics: Human Language Technologies (NAACL2013), E. Hovy, T. Mitamura, M. Palmer (Eds. ), Publ. Association for Computational Linguistics, ISBN 978-1-937284-47-3, p.11-20, Atlanta, USA, June 9-15, 2013. Maks, E., P. Vossen. “A Lexicon Model for Deep Sentiment Analysis and Opinion Mining Applications”, In: Decision Support Systems Journal, Vol 53, p.680-688. Elsevier, USA. Vossen P., A. Görög, R. Izquierdo, A. van den Bosch. “DutchSemCor: Targeting the ideal sense-tagged corpus”, in: Proceedings of the 8th international conference on Language Resources and Evaluation (LREC2012), N. Calzolari, K. Choukri, T. Declerck, M. Ugur Dogan, B. Maegaard, J. Mariani, J. Odijk, S. Piperidis (Eds. ), Publ. European Language Resources Association (ELRA), ISBN 978-2-9517408-7-7,p. 584-589, Istanbul, Turkey, May 21-27, 2012. Maks I., P. Vossen.“Building a fine-grained subjectivity lexicon from a web corpus”, in: Proceedings of the 8th international conference on Language Resources and Evaluation (LREC2012), N. Calzolari, K. Choukri, T. Declerck, M. Ugur Dogan, B. Maegaard, J. Mariani, J. Odijk, S. Piperidis (Eds. ), Publ. European Language Resources Association (ELRA), ISBN 978-2-9517408-7-7,p. 3070-3076, Istanbul, Turkey, May 21-27, 2012. E. Laparra, G. Rigau, P. Vossen.“Mapping WordNet to the Kyoto ontology”, in:Proceedings of the 8th international conference on Language Resources and Evaluation (LREC2012), N. Calzolari, K. Choukri, T. Declerck, M. Ugur Dogan, B. Maegaard, J. Mariani, J. Odijk, S. Piperidis (Eds. ), Publ. European Language Resources Association (ELRA), ISBN 978-2-9517408-7-7,p. 2584-2589, Istanbul, Turkey, May 21-27, 2012. Cybulska A., P. Vossen. Using Semantic Relations to Solve Event Coreference in Text”, in: Proceedings of the Workshop “Semantic relations-II. Enhancing Resources and Applications”, (SemRel2012) in conjunction with LREC2012, V. Mititelu, O. Popescu, V. Pekar (Eds. ), p. 60-67, Istanbul, Turkey, May 21-27, 2012, May 22, 2012. Fellbaum C., Vossen P. (eds. ).Proceedings of the 6th Global WordNet Conference (GWC2012), Publ. Tribun EU, Brno, ISBN 978-80-263-0244-5, 413 p., Matsue, Japan, January 9-13, 2012. Vossen P., A. Soroa, B. Zapirain, G. Rigau.”Cross-lingual event-mining using wordnet as a shared knowledge interface”, in: Proceedings of the 6th Global Wordnet Conference, C. Fellbaum, P. Vossen (Eds. ), Publ. Tribun EU, Brno, ISBN 978-80-263-0244-5, p. 382-390, Matsue, Japan, January 9-13, 2012. Vossen P., A. Gorog, F. Laan, M. Van Gompel, R. Izquierdo, A. van den Bosch. “DutchSemCor: building a semantically annotated corpus for Dutch”, in: Proceedings of Electronic Lexicography in the 21st century: New Applications for new users (eLEX2011), Iztok Kosem,Karmen Kosem (Eds. ), Publ. Trojina Institute for Applied Slovene Studies, ISBN 9789619298336, p. 286-296, Bled, Slovenia, November 10-12, 2011. Maks I, P. Vossen. “Different Approaches to Automatic Polarity Annotation at Synset Level”, in: Proceedings of the 1st International ESSLLI Workshop on Lexical Resources (WoLeR 2011), Benoit Sagot (Ed. ), Publ. online, p. 63-71, Ljubljana, Slovenia, August 1-5, 2011. Cybulska A., P. Vossen. “Historical Event Extraction from Text”, in: Proceedings of the 5th ACL-HLT 2011Workshop on Language Technology for Cultural Heritage, Social Sciences, and Humanities (LaTeCH 2011), K. Zervanou, P. Lendvai (Eds. ), Publ. Association for Computational Linguistics, ISBN-13 9781937284046, p. 39-43, Portland, Oregon, USA, June 24, 2011. Bosma W. P. Vossen, Vliet, H.D. van der.”Termextractie in Kyoto”, in: TiNT-Cahier 2010, 2nd Day of “Terminologie in het Nederlandse Taalgebied” (TiNT Day 2010), Wermuth, C., E. Ruijsendaal en O. Koornwinder (Eds. ), Publ. Academia Press, Gent, ISBN 978 90 382 1695 9, p. 1-10, December 3, 2009, VU University Amsterdam. Maks I., P. Vossen“A verb lexicon model for deep sentiment analysis and opinion mining applications”, in: Proceedings of the 2nd ACL-HLT 2011 Workshop on Computational Approaches to Subjectivity and Sentiment Analysis (WASSA 2011), A. Balahur, E. Boldrini, A. Montoyo, P. Martinez-Barco (Eds. ), Publ. Association for Computational Linguistics, ISBN-13 9781937284060, p. 10-18, Portland, Oregon, USA, June 24, 2011. Segers R., W. Bosma, P. Vossen. “Kyoto: multilinguale terminologie op basis van Wordnets”, in: TiNT-Cahier 2010, 2nd Day of “Terminologie in het Nederlandse Taalgebied” (TiNT Day 2010), Wermuth, C., E. Ruijsendaal en O. Koornwinder (Eds. ), Publ. Academia Press, Gent, ISBN 978 90 382 1695 9, p. 37-62, December 3, 2009, VU University Amsterdam (2010). Cybulska A., R. Segers, G. Schreiber, P. Vossen. “The Semantics of History: grip op de beschrijving van historische gebeurtenissen”, in Dixit, publ. Nederlandse Organisatie voor Taal & Spraaktechnologie (NOTaS), Spring 2010. Vossen P., G. Rigau, E. Agirre, A. Soroa, M. Monachini, R. Bartilini. “KYOTO: an Open Platform for Mining Facts”, in: Proceedings of OntoLex 2010: 6th Workshop on “Ontologies and Lexical Resources”, COLING, August 21-22, 2010, Beijing, p. 1-10, Ed. A. Oltramari, P. Vossen & Q. Lu, Publ. Coling 2010 Organizing Committee, ISBN 978-7-900268-00-6/TP.00, also available as a Springer special issue journal Language Resources and Evaluation. Download PDF presentation. Vliet van der H., I. Maks, P. Vossen, R. Segers. “The Cornetto Database: Semantic issues in linking lexical units and synsets”, in: Proceedings of the 14th EURALEX 2010 International Congress, July 6-10, 2010, Leeuwarden, the Netherlands, p. 159 and on cd, Ed. A. Dykstra, T. Schoonheim, Afuk, ISBN 9789062638403. Soroa A., E. Agirre, O. LÛpez de Lacalle, W. Bosma, P. Vossen, M. Monachini, J. Lo, S. Kai Hsieh. “Kyoto: An Integrated System for Specific Domain WSD”, in: Proceedings of SemEval-2010: 5th International Workshop on Semantic Evaluations on Kyoto‘s subtask WSD17: All-words Word Sense Disambiguation on a Specific Domain, workshop collocation: ACL2010, July 11-16, 2010, Uppsala, Sweden, p. 417-420, Ed. K. Erk & C. Strapparava, Publ. The Association for Computational Linguistics (ACL), ISBN 978-1-932432-70-1. Agirre E., O. Lopez de Lacalle1, Ch.Fellbaum, S. Hsieh, M. Tesconi4, M. Monachini, P. Vossen, R. Segers. “SemEval-2010 Task 17: All-words Word Sense Disambiguation on a Specific Domain”, in: Proceedings of SemEval-2010: 5th International Workshop on Semantic Evaluations on Kyoto‘s subtask WSD17: All-words Word Sense Disambiguation on a Specific Domain, workshop collocation: ACL2010, July 11-16, 2010, Uppsala, Sweden, p. 75-80, Ed. K. Erk & C. Strapparava,, Publ. The Association for Computational Linguistics (ACL), ISBN 978-1-932432-70-1. Bosma W., P. Vossen. “Bootstrapping language neutral term extraction”, in: Proceedings of the 7th international conference on Language Resources and Evaluation (LREC2010), Malta, May 17-23, 2010, page 2277-2882, ed. N.Calzolari, K. Choukri, B. Maegaard, J. Mariani, J. Odijk, S. Piperidis, M. Rosner, D. Tapias, publ. European Language Resources Association (ELRA), ISBN 2-9517408-6-7. 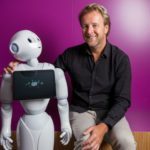 Akker van den C., L. Aroyo, A. Cybulska, M. van Erp, P. Gorgels, L. Hollink, C. Jager, S. LegÍne, L. van der Meij, J. Oomen, J. van Ossenbruggen, G. Schreiber, R. Segers, P. Vossen, B. Wielinga. “Historical Event-based Access to Museum Collections”, in: Proceedings of 1st International Workshop “EVENTS 2010 – Recognising and tracking events on the Web and in real life” “(SETN2010), Athens, Greece, May 4, 2010, p. 1-9, Ed. Th. Winkler, A. Artikis, Y. Kompatsiaris, P. Mylonas, publ.online on CEUR-WS, Volume 624, Aug. 26, 2010, URN: nbn:de: 0074-624-1. Segers R., P. Vossen. “Facilitating Non-expert Users of the KYOTO Platform: the TMEKO Editing Protocol for Synset to Ontology Mappings”, in: Proceedings of the 7th international conference on Language Resources and Evaluation (LREC2010), Malta, May 17-23, 2010, p. 3773-3380, Ed. N.Calzolari, K. Choukri, B. Maegaard, J. Mariani, J. Odijk, S. Piperidis, M. Rosner, D. Tapias, publ. European Language Resources Association (ELRA), ISBN 2-9517408-6-7. Gorog A., P. Vossen. “Computer assisted semantic annotation in the DutchSemCor project”, in: Proceedings of the 7th international conference on Language Resources and Evaluation (LREC2010), Malta, May 17-23, 2010, p. 1220-1226, Ed. N.Calzolari, K. Choukri, B. Maegaard, J. Mariani, J. Odijk, S. Piperidis, M. Rosner, D. Tapias, publ. European Language Resources Association (ELRA), ISBN 2-9517408-6-7. Cuadros M., E. Laparra, G. Rigau, Vossen P., W. Bosma,. “Integrating a large domain ontology of species into WordNet”, in: Proceedings of the 7th international conference on Language Resources and Evaluation (LREC2010), Malta, May 17-23, 2010, p. 2310-2317, Ed. N.Calzolari, K. Choukri, B. Maegaard, J. Mariani, J. Odijk, S. Piperidis, M. Rosner, D. Tapias, Publ. European Language Resources Association (ELRA), ISBN 2-9517408-6-7. Vossen P., G. Rigau. Division of semantic labor in the Global Wordnet Grid”, in: Proceedings of the 5th Global WordNet Conference (GWC2010), Mumbai, India, January 31-February 4, 2010, Ed. P. Bhattacharya. Fellbaum, P. Vossen, Narosa Publishing House (cover by Sam Vossen), ISBN 979-81-8487. Maks I., P. Vossen. “Modeling Attitude, Polarity and Subjectivity in Wordnet”,in: Proceedings of the 5th Global WordNet Conference (GWC2010), Mumbai, India, January 31-February 4, 2010, Ed. P. Bhattacharya. Fellbaum, P. Vossen, Narosa Publishing House (cover by Sam Vossen), ISBN 979-81-8487. Toral A., Monachini M., Soria C., Cuadros M., Rigau G., Bosma W., Vossen P.. “Linking a domain thesaurus to WordNet and conversion to WordNet-LMF”, in: Proceedings of the Second International Conference on Global Interoperability for Language Resources (ICGL 10), Hong Kong, January 15-17, 2010, Ed. A. Fang, N.Ide, & J. Webster, ISBN 978-962-442-323-5. Vossen P., W. Bosma, E. Agirre, G. Rigau, A. Soroa, A full Knowledge Cycle for Semantic Interoperability”, 5th Joint ISO-ACL/SIGSEM Workshop on Interoperable Semantic Annotation, in conjunction with the Second International Conference on Global Interoperability for Language Resources (ICGL 10), Hong Kong, January 15-17, 2010, Ed. A. Fang, N. Ide, & J. Webster, ISBN 978-962-442-323-5. Bosma, W., Vossen P., Soroa A., Rigau G., Tesconi M., Marchetti A., Monachini M., Aliprandi C.. “KAF: a generic semantic annotation format”, in: Proceedings of the 5th International Conference on Generative Approaches to the Lexicon (GL 2009). Pisa, Italy, September 17-19, 2009, p. 145-152, online proceedings, Download PDF presentation. Agirre E., O. Lopez de Lacalle, Ch. Fellbaum, A. Marchetti, A. Toral, Vossen P. “All-words Word Sense Disambiguation on a Specific Domain (SemEval-2010 Task 17), in: Proceedings of the workshop SEW-2009: Semantic Evaluations: Recent Achievements and Future Directions at the North American Chapter of the Association for Computational Linguistics – Human Language Technologies (NAACL HLT 2009 conference, June 4, 2009, Boulder, Colorado, USA, p. 123-129, Ed. Association for Computational Linguistics (ACL), ISBN 978-1-932432-31-2. Soria C., M. Monachini, P. Vossen. “Wordnet-LMf: fleshing out a standardized format for wordnet interoperability”, in: Proceedings of IWIC2009, Stanford, USA, February 20-21, 2009, p. 139-146, Ed. ACM Press, New York, ISBN 978-1-60558-198-9. Vossen†P. (2008) “Related but donít supply: de automatische extractie van producttermen”, paper in volume for Emeritus Prof.Dr. Willy Martin, October 25, 2008, Amsterdam, the Netherlands. Pease A., C. Fellbaum, P. Vossen. ““Building the Global WordNet Grid”, in: Proceedings of the 18th International Congress of Linguists (CIL18), Seoul, Republic of Korea, July 21-26, 2008. Horak A., I. Maks, A. Rambousek, R. Segers, H. van der Vliet, P. Vossen. “Cornetto Tools and Methodology for Interlinking Lexical Units, Synsets and Ontology”, in: Proceedings of the 18th International Congress of Linguists (CIL18), Seoul, Republic of Korea, July 21-26, 2008. Vossen P., E. Agirre, N. Calzolari, C. Fellbaum, S. Hsieh, C. Huang, H. Isahara, K. Kanzaki, A. Marchetti, M. Monachini, F. Neri, R. Raffaelli, G. Rigau, M. Tesconi. “KYOTO: A system for Mining, Structuring and Distributing Knowledge Across Languages and Cultures”, in: Proceedings of LREC 2008, Marrakech, Morocco, May 28-30, 2008, Ed. European Language Resources Association (ELRA). ISBN 2-9517408-4-0. Vossen P., Maks I., Segers R., Van der Vliet H.. “Integrating lexical units, synsets and ontology in the Cornetto Database”, in: Proceedings of LREC 2008, Marrakech, Morocco, May 28-30 May 2008, Ed. European Language Resources Association (ELRA). ISBN 2-9517408-4-0. Maks I., P. Vossen, R. Segers, H. van der Vliet. “Adjectives in the Dutch semantic lexical database CORNETTO, in: Proceedings of LREC 2008, Marrakech, Morocco, May 28-30 May 2008, Ed. European Language Resources Association (ELRA), ISBN 2-9517408-4-0. Elkateb. S., Black, W., Farwell, D., Rodroguez, H., Alkhalifa, M., Pease, A., Vossen, P., and Fellbaum, C.. Challenges of Building an Arabic WordNet”,in: Proceedings of the Sixth International Conference on Language Engineering, Cairo, Egypt, March 27-28, 2008. Horak A., P. Vossen, A. Rambousek. “A Distributed Database System for Developing Ontological and Lexical Resources in Harmony”, in: Proceedings of the 9th International Conference on Intelligent Text Processing and Computational Linguistics: CICLing 2008, February 17-23, 2008, Haifa, Israel. Horak A., Vossen P., Rambousek A.. “The Development of a Complex-Structured Lexicon based on WordNet”, in: Proceedings of the Fourth International GlobalWordNet Conference – GWC 2008, Szeged, Hungary, January 22-25, 2008, p. 200-209., Proceedings Editors: A.Tan·cs, D.Csendes, V.Vincze, C.Fellbaum, P. Vossen, Publisher: University of Szeged, Department of Informatics, ISBN 978-963-482-854-9. Rodriguez H., D. Farwell, J. Farreres, M. Bertran, M. Alkhalifa, M. Marti, W. Black, S. Elkateb, J. Kirk, A. Pease, P. Vossen, C. Fellbaum. “Arabic WordNet: Current State and Future Extensions”, in: Proceedings of the Fourth International GlobalWordNet Conference – GWC 2008, Szeged, Hungary, January 22-25, 2008, p. 387-406 Proceedings editors: A.Tan·cs, D.Csendes, V.Vincze, C. Fellbaum, P. Vossen, publisher: University of Szeged, Department of Informatics, ISBN 978-963-482-854-9. VossenP., E.Agirre, N.Calzolari, C. Fellbaum, S.Hsieh, Ch. Huang, H. Isahara, K.Kanzaki, A.Marchetti, M.Monachini, F.Neri, R.Raffaelli, G.Rigau, M.Tesconi. “KYOTO: A System for Mining, Structuring, and Distributing Knowledge Across Languages and Cultures”, in: Proceedings of the Fourth International GlobalWordNet Conference – GWC 2008, Szeged, Hungary, January 22-25, 2008, p. 474-485, Proceedings editors: A.Tan·cs, D.Csendes, V.Vincze, C. Fellbaum, P. Vossen, publisher: University of Szeged, Department of Informatics, ISBN 978-963-482-854-9. VossenP., I.Maks, R.Segers, H. van der Vliet, H. van Zutphen. “The Cornetto Database: the architecture and alignment issues”, in: Proceedingsof the Fourth International GlobalWordNet Conference – GWC 2008, Szeged, Hungary, January 22-25, 2008, p. 485-506., Proceedings editors: A.Tan·cs, D.Csendes, V.Vincze, C. Fellbaum, P. Vossen, publisher: University of Szeged, Department of Informatics, ISBN 978-963-482-854-9. Fellbaum, C., Vossen, P. “Challenges for a Global WordNet. In: Online Proceedings of the First International Workshop on Global Interoperability for Language Resources(ICGL 2008), City University of Hongkong, January 8-12, 2008, p. 75-82, online published by Ed. Webster J., N.Ide, A.Chengyu Fang. Vossen. “The Global Wordnet Grid: anchoring languages to universal meaning”, in: Proceedings of LTC’07, the 3rd Language & Technology Conference: Human Language Technologies as a Challenge for Computer Science and Linguistics, Poznan, Poland, October 5-7, 2007. Agirre E, Lopez de Lacalle O., Magnini B., Otegi A., Rigau G., Vossen P. SemEval-2007 Task 01: Evaluating WSD on Cross-Language Information Retrieval”, in: Proceedings of the 8th Workshop of the Cross-Language Evaluation Forum (CLEF 2007), Budapest, Hungary, September 19-21, 2007. Agirre E, Lopez de Lacalle O., Magnini B., Otegi A., Rigau G., Vossen P. SemEval-2007 Task 01: Evaluating WSD on Cross-Language Information Retrieval”, in: Proceedings of SemEval 2007, co-located with ACL-2007, Prague, Czech Republic, June 23-24, 2007. Vossen, P., K.Hofman, M. de Rijke, E.Tjong Kim Sang, K.Deschacht. “The Cornetto Database: Architecture and User-Scenarios”, In: Proceedings of 7th Dutch-Belgian Information Retrieval Workshop DIR2007, University of Leuven, March 28-29, 2007. Fellbaum C., P. Vossen . Connecting the Universal to the Specific: Towards the Global Grid”, In: Proceedings of The First International Workshop on Intercultural Collaboration (IWIC 2007), Kyoto, Japan, January 25-26, 2007.
li value=”3.”>Agirre E., Alegria I., Rigau G.,†Vossen†P. (2007) “Multilingual Central Repository (MCR) for CLIR”, in: “Publicada la MonografÌa Especial sobre el Tratamiento de la InformaciÛn Multiling¸e y Multimodal (TIMM) como un especial dentro de la†SEPLN†(Sociedad EspaÒola para el Procesamiento del Lenguaje Natural), Revista n∫ 38, 3-16. ISSN 1135-5948. 2007. Fellbaum C., M. Alkhalifa, W. Black, S. Elkateb, A. Pease, H. Rodriguez, P. Vossen. Building a WordNet for Arabic, In: Proceedings of the the 5th Conference on Language Resources and Evaluation LREC2006, Genoa, Italy, May 22-28, 2006. Fellbaum C., M. Alkhalifa, W. Black, S. Elkateb, A. Pease, H. Rodriguez, P. Vossen. Introducing the Arabic WordNet project, In: Proceedings of the 3rd Global Wordnet Conference, Jeju Island, Korea, South Jeju, January 22-26, 2006. Vossen, Piek, German Rigau, IÒaki Alegria, Eneko Agirre, David Farwell, Manuel Fuentes. Meaningful results for Information Retrieval in the MEANING project. In: Proceedings of the 3rd Global Wordnet Conference, Jeju Island, Korea, South Jeju, January 22-26, 2006. Vossen, P. (2006) Cornetto: Een lexicaal-semantische database voor taaltechnologie, in: Dixit Special Issue, Stevin, 2006. Atserias J., L. Villarejo, G. Rigau, E. Agirre, J. Carroll, B. Magnini, P. Vossen. The MEANING Multilingual Central Repository, in: Proceedings of the 2nd Global Wordnet Conference, p.22-31, Brno, Czech, 20-23 January 2004. Vossen P. MEANING: a Roadmap to Knowledge Technologies. In: Proceedings of COLING Workshop, Taipei, Taiwan, 2002. Vossen, P. Extending, Trimming and Fusing Wordnet for Technical Documents, in: Proceedings on NAACL-2001 Workshop on WordNet and Other Lexical Resources Applications, Extensions and Customizations, Pittsburgh, USA, June 2001. Vossen, P.. Tuning Document Based Hierarchies with Generative Principles, First International Workshop on Generative Approaches to the Lexicon, Edited by Pierette Bouillon and Kyoko Kanzaki, April 26-28, 2001, Geneva, Switzerland, Universite de Geneve. Vossen P. Computational Linguistics for Theory and Practice, in: Proceedings of the Symposium: The Future of Computational Linguistics, Heidelberg, 21-22 July, 2000. Vossen P. EuroWordNet: a multilingual Database wirh wordnets in 8 languages, in: Elra Newsletter, Vol.5 N∫1, January-March 2000. Vossen, Piek, Wim Peters, Julio Gonzalo. Towards a Universal Index of Meaning, in: Proceedings of ACL-99 Workshop, Siglex-99, Standardizing Lexical Resources, p 81- 90, June 21-22, 1999, University of Maryland, College Park, Maryland, USA. Vossen, P. EuroWordNet: Building a Multilingual Database with Wordnets for European Languages. In: K. Choukri, D. Fry, M. Nilsson (eds), The ELRA Newsletter, Vol3, n1, 1998. ISSN: 1026-8200. Vossen P. and L. Bloksma. Categories and classifications in EuroWordNet. In: A. Rubio, N. Gallardo, R. Catro and A. Tejada (ed): Proceedings of First International Conference on Language Resources and Evaluation, Granada, 28-30 May 1998. 399-408. Peters, W., I. Peters, and P. Vossen. Automatic Sense Clustering in EuroWordNet. In: A. Rubio, N. Gallardo, R. Catro and A. Tejada (ed): Proceedings of First International Conference on Language Resources and Evaluation, Granada, 28-30 May 1998. 409-416. Vossen, P. EuroWordNet: a multilingual database for information retrieval, In: Proceedings of the DELOS workshop on Cross-language Information Retrieval, March 5-7, 1997, Zurich. Vossen, P., P. Diez-Orzas, W. Peters. The Multilingual Design of EuroWordNet. Published in: P. Vossen, N. Calzolari, G. Adriaens, A. Sanfilippo, Y. Wilks (eds.) Proceedings of the ACL/EACL-97 workshop Automatic Information Extraction and Building of Lexical Semantic Resources for NLP Applications, Madrid, July 12th, 1997. 1-8. Vossen, P., W. Peters, P. DÌez-Orzas. The Multilingual design of the EuroWordNet Database, In: Kavi Mahesh (ed.) Ontologies and multilingual NLP, Proceedings of workshop at IJCAI-97, Nagoya, Japan, August 23-29. Vossen, P. Right or wrong: combing lexical resources in the EuroWordNet project, in: M. Gellerstam, J. Jarborg, S. Malmgren, K. Noren, L. Rogstrom, C.R. Papmehl, Proceedings of Euralex-96, Goetheborg, 1996, 715-728. Sutcliffe, R. F. E., Boersma, P., Bon, A., Donker, T., Ferris, M. C., Hellwig, P., Hyland, P., Koch, H.-D., Masereeuw, P., McElligott, A., O’Sullivan, D., Relihan, L., Serail, I., Schmidt, I., Sheahan, L., Slater, B., Visser, H., Vossen, P. Beyond Keywords: Accurate Retrieval from Full Text Documents. Proceedings of the 2nd Language Engineering Convention, LEC’95, Queen Elizabeth II Conference Centre, London, UK, 16-18 October 1995. Vossen P. Encoding language dependent properties in a multilingual knowledge base, in: Proceedings of the ESSLLI Workshop on the Computational Lexicon, Barcelona, 21-25 August 1995. Vossen P. The linguistic versus cognitive role of classifying nouns, in: Proceedings of the 6th ASIS SIG/CR Workshop on Classification Research, Chicago, October 1995. Vossen, Piek, Paul Boersma, Annelies Bon, Ton Donker. A flexible semantic database for information retrieval tasks, in: Proceedings of the AIí95, June26-30, Montpellier. Sutcliffe, R. F. E., Vossen, P., Hellwig, P., McElligott, A., O’Sullivan, D., Relihan, L., Sheahan, L., Slater, B. The Tractable Representation of Utterance Meanings for Information Retrieval. in: Proceedings of the Fifth Computational Linguistics in the Netherlands Meeting (CLIN’94), Wednesday November 23, 1994, University of Twente, The Netherlands. Sutcliffe, R., D. OíSullivan, N. Sharkey, P. Vossen, B. Slator, A McElligott, L. Bennis. A psychometric performance metric for semantic lexicon, in: N. Calzolari and C. Guo (eds) Proceedings of the post-Coling94 international workshop on directions of lexical research, August 15-17, Beijing, 75 – 88. Sutcliffe, R. F. E., Vossen, P., Serail, I., Masereeuw, P., Hellwig, P., Boersma, P., Bon, A., McElligott, A., O’Sullivan, D., Sheahan, L. From SIFT Lexical Knowledge Base to SIFT Lexical Data Base: Creating a Repository for Lexicological Research and Development. Abstract in Proceedings of the Workshop on Linguistic Databases, LINGDB’95, 23-24 March 1995, University of Groningen, Groningen, The Netherlands. Sutcliffe, R. F. E., Hellwig, P., Vossen, P., O’Sullivan, D., Relihan, L., McElligott, A. SIFT, a Hybrid Retrieval Engine for Providing Help from Technical Computer Manuals. Proceedings of the 17th Annual Colloquium of the British Computer Society Information Retrieval Special Interest Group, IRSG’95, Manchester Metropolitan University, 4-5 April 1995. Vossen P. The automatic construction of a knowledge base from dictionaries: a combination of techniques, in: H. Tommola, K. Tarantola, T. Salmin Tolonen, J. Schopp (eds) Proceedings of the 5th Euralex International Congress on Lexicography, Tampere, Finland, 1992. [also available as Esprit BRA-3030 Acquilex Working Paper 025 with the title “An Empirical Approach to Automatically construct a Knowledge Base from Dictionaries”]. Meijs W., P. Vossen (1990). Het Computationele Lexicon op ware grootte, in: TABU, 1990, 2, 137-147. Utrecht. Vossen P., M. den Broeder, W. Meijs.The Links-project: building a semantic database for linguistic applications, in: M. Kytp, O. Ihalainen and M. Rissanen (eds.) Corpus linguistics hard and soft, Proceedings of the Eigth International Conference on English Language Research on Computerized Corpora. Amsterdam: Rodopi. Vossen P., Ch. Fellbaum et al (Eds.). Proceedings of the 9th Global Wordnet Conference, Singapore, January 8-12, 2018. Choi, K.-S., T. Mitamura, P. Vossen, J. Kim, A. Cyrille (Eds.) Proceedings of the SIGIR 2017 workshop on open knowledge base and question answering (OKBQA2017), Tokio, Japan, August 11, 2017. Vossen P., Ch. Fellbaum et al (Eds.). Proceedings of the 8th Global Wordnet Conference, Bucharest, Romania, January 27-30, 2016. Caselli T., van Erp M., Minard A., Finlayson M., Miller B., Atserias J., Balahur A., Vossen P. Proceedings of the First Workshop on Computing News Storylines, Beijing, China, July 26-31, 2015. Orav H., Vossen, P., Ch. Fellbaum (Eds.). Proceedings of the 7th Global WordNet Conference (GWC2014), ISBN 978–9949–32–492–7, 422 p., January 25-29, 2014, Tartu, Estonia. Oltramari, A., P. Vossen, L. Qin, E. Hovy (Eds. )New Trends of Research in Ontologies and Lexical Resources, Publ. Springer Verlag, Heidelberg, ISBN 978-3-642-31781, 282 pages. Oltramari A., P. Vossen, Q. Lu (Eds.). Proceedings of the OntoLex 2010: 6th Workshop on “Ontologies and Lexical Resources”, COLING, August 21-22, 2010, Beijing, p. 1-10, Ed. A. Oltramari, P. Vossen & Q. Lu, Publ. Coling 2010 Organizing Committee, ISBN 978-7-900268-00-6/TP.00, also available as a Springer special issue journal Language Resources and Evaluation. P. Bhattacharyya, C. Fellbaum, Vossen, P. (Eds.). “Principles, construction and application of multilingual WordNets: Proceedings of the 5th Global WordNet Conference (GWC2010), Mumbai, India, January 31-February 4, 2010, Narosa Publishing House (cover by Sam Vossen), ISBN 979-81-8487. Tan·cs A., D.Csendes, V. Vincze, Ch. Fellbaum,Vossen P. (Eds.). Proceedings of the Fourth International GlobalWordNet Conference – GWC 2008, Szeged, Hungary, January 22-25, 2008, p. 1-545, Publisher: University of Szeged, Department of Informatics, ISBN 978-963-482-854-9. Ishida T., Fussell S, Vossen P. (Eds.). Intercultural Collaboration, First International Workshop, IWIC 2007, Kyoto, Japan, January 25-26, 2007, Invited and Selected Papers. Lecture Notes in Computer Science (LNCS ), Vol. 4568, Springer-Verlag 2007. Vossen Prof.Dr. P.Th.J.M. Een communicatief lexicon door het verankeren van woordbetekenissen. Oratie (in powerpoint) bij de aanvaarding van het ambt van bijzonder hoogleraar Computationele Lexicologie bij de faculteit der Letteren van de Vrije Universiteit Amsterdam op 22 december 2006. Sojka P., Key-Sun Choi, Christiane Fellbaum, Piek Vossen (Eds.). Proceedings of the Third International WordNet Conference – GWC 2006, Seogwipo, Jeju Island, Korea, January 22-26, 2006. Edited by Masaryk University, Brno, Czech Republic and printed by KAIST in Daejeon, Korea. Vossen, P. EuroWordNet: a multilingual database of autonomous and language-specific wordnets connected via an Inter-Lingual-Index. Semi-special issue on multilingual databases. International Journal of Linguistics 17/2, June 2004. Sojka P., Karel Pala, Pavel Smrz, Christiane Fellbaum, Piek Vossen (Eds.). Proceedings of the Second International WordNet Conference – GWC 2004, Brno, Czech Republic, January 20-23, 2004, Masaryk University, Brno. Vossen P., Christiane Fellbaum, (Eds.) Proceedings of the First International WordNet Conference – GWC 2002, Mysore, India, January 19-25, 2002, Central Institute of Indian Languages. Vossen, P (Ed.) EuroWordNet: a multilingual database with lexical semantic networks for European Languages. Kluwer, Dordrecht. Nancy Ide, Daniel Greenstein, Piek Vossen (eds), Special Issue on EuroWordNet. Computers and the Humanities, Volume 32, Nos. 2-3 1998. 91-115. Vossen P. Grammatical and conceptual individuation in the lexicon, PhD Thesis, Universiteit van Amsterdam, Ifott 15. See also review in International Journal of Lexicography, 1998; 11: 73 – 79. Willy Martin, Willem Meijs, Margreet Moerland, Elsemiek ten Pas, Piet van Sterkenburg, Piek Vossen (Eds.) Proceedings of Euralex 1994, Amsterdam. Erp van M., P. Vossen, “Entity typing using distributional semantics and dbpedia,” chapter in Knowledge Graphs and Language Technology, Springer, ISBN 978-3-319-68723-0, 2017. Vossen P. “Onomasiological lexicography: wordnets and thesauruses”: chapter in International Handbook of Modern Lexis and Lexicography, section 3 Computers and Lexicography (Eds. P. Hanks, G. de Schryver), Springer-Verlag, Heidelberg, Germany. Vossen P. “Introduction to Computational Methods for the Analysis of Political Texts”. Book chapter in: B. Kaal, I. Maks, A. van Elfrinkhof (Eds. ), From Text to Political Positions Converging approaches to estimating party positions, Edited Volume for Discourse Approaches to Politics, Society and Culture, John Benjamins Publishing Company. Vossen P. “WordNet: principles, developments and applications”, Book chapter in Handbooks of Linguistics and Communication Science (HSK) 5/4, International Encyclopedia of Lexicography, volume Dictionaries: an International Encyclopedia of Lexicography, Supplementary volume: Recent developments with special focus on computational lexicography. 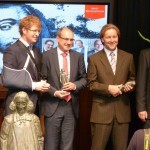 R.H. Gouws, U. Heid, W. Schweickard, H.E. Wiegand (Eds. ), Publ. Mouton de Gruyter, ISBN: 978-3-11-023813-6, Berlin, Germany. Vossen, C. Soria, M. Monachini. “Wordnet-LMF: a standard representation for multilingual wordnets“, Book chapter in “LMF: Lexical Markup Framework, theory and practice“, G. Francopoulo (Ed. ), Publ. Hermes / Lavoisier / ISTE , ISBN: 9781848214309, p. 51-66. Vossen P., E.Agirre, G.Rigau and A.Soroa. “KYOTO: a knowledge-rich approach to the interoperable mining of events from text”, Book chapter in: New Trends of Research in Ontologies and Lexical Resources”, A. Oltramari, Lu-Qin, Vossen, Qin L., Hovy E. (Eds. ), Publ. Springer Verlag, Heidelberg, ISBN 978-3-642-31781-1, p. 65-90. Vossen, P., I.Maks, R.Segers, H.van der Vliet, M.F. Moens, K.Hofmann, E.Tjong Kim Sang, M.de Rijke. “Cornetto: a lexical semantic database for Dutch“, Book chapter in: P. Spyns & J. Odijk (eds): Essential Speech and Language Technology for Dutch, Results by the STEVIN-programme, Publ. Springer series Theory and Applications of Natural Language Processing, ISBN 978-3-642-30909-0, p, 165-184. Fellbaum Ch., P. Vossen. “Challenges for a multilingual wordnet”, Book chapter in “Language Resources and Evaluation”, N. Ide, A. Fang, J. Webster. N. Calzolari (Eds. ), Publ. Springer Verlag, Heidelberg, Volume 46, Number 2, DOI: 10.1007/s10579-012-9186-z, p. 313-326. Vossen P., Fellbaum C.. “Universals and Idiosyncracies in Multilingual WordNets”,bookchapter in: Multilingual FrameNets in Computational Lexicography, Methods and Applications, p. 319-346, Ed. H.C. Boas, Mouton de Gruyter, Berlin, ISBN 978-3-11-021296-9. Vossen P., E. Agirre, F. Bond, W. Bosma, C. Fellbaum, A. Hicks, S. Hsieh, H. Isahara, Ch. Huang, K. Kanzaki, A. Marchetti, G. Rigau, F. Ronzano, R. Segers, M. Tesconi. “KYOTO: a Wiki for Establishing Semantic Interoperability for Knowledge Sharing across Languages and Cultures”, chapter in: Handbook of Research on Culturally-Aware Information Technology: Perspectives and Models. Ed. Dr. E. Blanchard (Mc Gill University (Canada)) and Dr. D. Allard (Dalhousie University), Publ. IGI Global USA, p. 265-294, ISBN 978161520883. Horak A., P. Vossen P., A. Rambousek. “A Distributed Database System for Developing Ontological and Lexical Resources in Harmony”, chapter in Lecture Notes in Computer Science, 2010, Volume 4919, Computational Linguistics and Intelligent Text Processing, Pages 1-15, Ed. A. Gelbukh, ISBN 978-3-540-78135-6_1. Horak A., P. Vossen, A. Rambousek. “A Distributed Database System for Developing Ontological and Lexical Resources in Harmony”, Chapter in Lecture Notes in Computer Science Lectures Notes Volume 4919/2008 “Computational Linguistics and Intelligent Text Processing”, p. 1-15, ISSN 0302-9743 (Print) 1611-3349 (Online), Ed. Springer Berlin/Heidelberg, ISBN 978-3-540-78134-9. Agirre E, Lopez de Lacalle O., Magnini B., Otegi A., Rigau G., Vossen P.. SemEval-2007 Task 01: Evaluating WSD on Cross-Language Information Retrieval”, Chapter in: Lecture Note (LNCS Volume 5152/2008) in Computer Science “Advances in Multilingual and Multimodal Information Retrieval”, p. 908-917, ISSN 0302-9743 (Print) 1611-3349 (Online), Ed. Springer Berlin/Heidelberg, ISBN 978-3-540-85759-4. Vossen, P. Linguistic knowledge for more precision, richer answers and flexible systems”, in Special Issue of Revue Francaise de Linguistique Appliquee (RFLA) on “Extraction d’Information: l’apport de la linguistique”, Vol XIII 2008-1, June 2008, pp. 23-39, Ed. Revue FranÁaise de Linguistique appliquÈe, Paris, ISSN: 1386-1204. Fellbaum C., P. Vossen . “Connecting the Universal to the Specific: Towards the Global Grid”,In: Lecture Note in Computer Science (LNCS) Vol.4568, Springer-Verlag, 2007. Paul Buitelaar, Bernardo Magnini, Carlo Strapparava, Piek Vossen. Domain-Specific Word Sense Disambiguation. In: Eneko Agirre and Philip Edmonds (eds) Word Sense Disambiguation – Algorithms and Applications. Springer, june 2006. Vossen, P. Handbook of Formal Languages. In: “Journal of Logic, Language and Information”, October 2005, Volume 14, Issue 4, Springer Science + Business Media BV (formerly Kluwer Academic Publishers BV), pp. 457-487, 2005, ISSN 1572-9583. Vossen, P. Introduction, in: Romanian Journal of Information Science and Technology, Special Issue on Balkanet, Volume 7, nr. 1-2, 2004. Vossen P. “Ontologies”, In: R.Mitkov (ed.) Handbook Of Computational Linguistics. Oxford University Press, Chapter 25 (see also a review). Vossen, P. WordNet, EuroWordNet and Global WordNet. In: Revue FranÁaise de Linguistique Appliquee / RFLA, 2002/1 (Vol. VII), Paris, France. Vossen P. Opportunities for language-technology, Issue-3 Digit HVM. Vossen P. Condensed Meaning in EuroWordNet, In: Federica Busa, Pierrette Bouillon (eds) The Language of Word Meaning, MIT,Cambridge, pp. 363-384. Vossen P. EuroWordNet as a multilingual database. In: Wolfgang Teubert (ed) TWC. Vossen, P. EuroWordNet: Linguistic Ontologies in a Multilingual Database. In: D. Vervenne, F. Vandamme (eds): Towards advanced document management: the creation and maintenance of electronic thesauri, CC AI, Communication and Cognition for Artificial Intelligence, Special Issue, Volume 15, Numbers 1-2, 1998. 37-80. Vossen, P. Introduction to EuroWordNet. In: Nancy Ide, Daniel Greenstein, Piek Vossen (eds), Special Issue on EuroWordNet. Computers and the Humanities, Volume 32, Nos. 2-3 1998. 73-89. Alonge, A., N. Calzolari, P. Vossen, L. Bloksma, I. Castellon, T. Marti, W. Peters. The Linguistic Design of the EuroWordNet Database. In: Nancy Ide, Daniel Greenstein, Piek Vossen (eds), Special Issue on EuroWordNet. Computers and the Humanities, Volume 32, Nos. 2-3 1998. 91-115. Rodriquez, H., S. Climent, P. Vossen, L. Bloksma; A. Roventini, F. Bertagna, A. Alonge, W. Peters. The Top-Down Strategy for Building EuroWordNet: Vocabulary Coverage, Base Concepts and Top Ontology. In: Nancy Ide, Daniel Greenstein, Piek Vossen (eds), Special Issue on EuroWordNet. Computers and the Humanities, Volume 32, Nos. 2-3 1998. 117-152. Vossen, P., L. Bloksma, C. Peters, A. Alonge, A. Roventini, E. Marinai, I. Castellon, T. Marti, G. Rigau. Compatibility in Interpretation of Relations in EuroWordNet. In: Nancy Ide, Daniel Greenstein, Piek Vossen (eds), Special Issue on EuroWordNet. Computers and the Humanities, Volume 32, Nos. 2-3 1998. 153-184. Peters, W., P. Vossen, P. Diez-Orzas, G. Adriaens. Cross-linguistic Alignment of Wordnets with an Inter-Lingual-Index. In: Nancy Ide, Daniel Greenstein, Piek Vossen (eds), Special Issue on EuroWordNet. Computers and the Humanities, Volume 32, Nos. 2-3 1998. 221-251. Vossen, P. A functional approach to the grammatical and conceptual individuation of first order nouns. Chapter in: C.S. Butler and J.H. Conolly, R.A. Gatward and R.M. Vismans (eds.) A fund of Ideas. IFOTT, Studies in Language and Language Use, 31, Foris Publications, Dordrecht. p.113-156. Copestake A., T Briscoe, P Vossen, A Ageno, I Castellon, F Ribas, G Rigau, H Rodriguez, A Sanmiotou,Acquisition of Lexical Translation Relations from MRD’s, in: Machine Translation 9, 183-219, Kluwer Academics, the Netherlands. Vossen P. The end of the chain: where does stepwise lexical decomposition lead us eventually?, in: E. Engberg-Pedersen, L. Falster Jakobsen, L. Schack Rasmussen (eds.) Function and expression in Functional Grammar. Functional Grammar Series 16, Berlin: Mouton de Gruyter: 11-40 [also available as Esprit BRA-3030 Working Paper 010, University of Amsterdam, 1990]. Vossen P., A. Copestake. Untangling Definition Structure into Knowledge Representation, in: E.J. Briscoe, A. Copestake and V. de Paiva (eds.) Default inheritance in unification based approaches to the lexicon. pp. 246-274, Cambridge: Cambridge University Press,ISBN:9780521430272. Meijs, W., P. Vossen. “In so many words: knowledge as a lexical phenomenon”, in: J. Pustejovsky and S Bergler (eds), Lexical Semantics and Knowledge Representation. Berlin, Lecture Notes in Computer Science, Springer-Verlag Volume 627/1992: 137-154, DOI: 10.1007/3-540-55801-2_32 [also available in: Proceedings of the ACL SIGLEX Workshop on lexical semantics and knowledge representation, Berkeley: California: 113-126, June 1991.]. Vossen P. Polysemy and vagueness of meaning descriptions in the Longman dictionary of contemporary English, in: S. Johansson and A. Stenstrom (eds) English Computer Corpora. Selected Topics and Research Guide. Berlin/New York: Mouton de Gruyter, Berlin. Dik S., W. Meijs, P. Vossen. Lexigram: A functional lexicon for knowledge engineering, in: R.P. van de Riet and R.A. Meersman (eds) Linguistic Instruments in Knowledge Engineering. Amsterdam: Elsevier: 21 – 54. Vossen P. The structure of lexical knowledge as envisaged in the Links-project, in: J. Connolly and S. Dik (eds.) Functional grammar and the computer. Functional grammar series 10. Dordrecht: Foris: 177-199, ISBN 978-3-11-087168-5. Erp M. van, Vossen “Project Showcase, Research Report Deliverable D10.6, NewsReader project (ICT-2011-8-3164048), January 2016. Minard A., M. Speranza, M. van Erp, A. Fokkens, M. Postma, P. Vossen, E. Agirre, I. Aldabe, G. Rigau, R. Urizar “Evaluation tasks in open competitions“, Research Report Deliverable D10.4, NewsReader project (ICT-2011-8-3164048), January 2016. Vossen P., T. Caselli, A, Cybulska, A. Fokkens, F. Ilievski, A. Minard, P. Mirza, I. Aldabe, E. Laparra, G. Rigau “Event Narrative Module, version 3” Research Report Deliverable D5.1.3, NewsReader project (ICT-2011-8-3164048), January 2016. Agerri R., I. Aldabe, Z.Beloki, E. Laparra, G. Rigau, A. Soroa, M. van Erp, A. Fokkens, F. Ilievski, R.Izquierdo, R. Morante, Ch. van Son, P. Vossen , A. Minard “Event Detection, version 3“, Reserach Report Deliverable D4.2.3, NewsReader project (ICT-2011-8-3164048), January 2016. Erp M. van, P. Vossen, R. Agerri, A. Minard, M. Speranza, R. Urizar, E.Laparra, I. Aldabe, G. Rigau ““Annotated Data, version 2”, Research Report Deliverable D3.3.2, NewsReader project (ICT-2011-8-3164048), January 2016. Cybulska A., Marieke van Erp, Sara Tonelli, Rachele Sprugnoli,Manuela Speranza, Anne-Lyse Minard, Ruben Urizar, Begona Altuna, Piek Vossen, Antske Fokkens. Annotated Data, Research Report Deliverable 3.3.1, NewsReader project (ICT-2011-8-3164048), January 30, 2014. Kortleven R., Ian Hopkinson , Marieke van Erp, Piek Vossen.Definition of Data Sources, Research Report Deliverable D1.1, NewsReader project (ICT-2011-8-3164048), January 30, 2014. Vossen P., Agata Cybulska, Egoitz Laparra, Oier Lopez de Lacalle, Eneko Agirre, German Rigau. Event Narrative Module, Research Report Deliverable D5.1.1, NewsReader project (ICT-2011-8-3164048), January 30, 2014. Beloki Z., German Rigau, Aitor Soroa, Antske Fokkens, Piek Vossen, Marco Rospocher, Francesco Corcoglioniti, Roldano Cattoni, Thomas Ploeger, Willem Robert van Hage. System Design, Research Report Deliverable D2.1, NewsReader project (ICT-2011-8-3164048), January 10, 2014. Agerri R., Itziar Aldabe, Zuhaitz Beloki, Egoitz Laparra, Maddalen, Lopez de Lacalle, German Rigau, Aitor Soroa, Marieke van Erp, Piek Vossen, Christian Girardi and Sara Tonelli. Event Detection, Research Report Deliverable D4.2.1, NewsReader project (ICT-2011-8-3164048), November 10, 2013. Agerri R., Itziar Aldabe, Egoitz Laparra, German Rigau, Benat Zapirain1, Marieke van Erp, Sara Tonelli, Marco Rospocher and Piek Vossen. Resources and linguistic processors, Research Report Deliverable D4.1, NewsReader project (ICT-2011-8-3164048), July 23, 2013. Vossen, Agata Cybulska, Sara Tonelli, Rachele Sprugnoli. Evaluation Module Research Report Deliverable D3.2, NewsReader project (ICT-2011-8-3164048), July 23, 2013. Vossen P. W. Bosma, G. Rigau, E. Agirre, A. Soria, C. Aliprandi, J. de Jonge, F. Hielkema, M. Monachini, R. Bartolini, F. Frontini. “KyotoCore: integrated system for knowledge mining from text”, Research Report Deliverable 10.2, Kyoto project (ICT-211423), March 15, 2011, EU. VossenP., F. Hielkema, C. Aliprandi, G. Rigau, C. Fellbaum, M. Monachini, A. Marchetti, H. Isahara, F. Bond, S. Hsieh, L. Jones-WaltersPlan for the Use and Dissemination of KYOTO”, Research Report Deliverable 11.6, Kyoto project (ICT-211423), March 15, 2011, EU. Hicks a., P. Vossen, E. Laparra, G. Rigau. Domain extension of the Central Ontology – Final, Research Report Deliverable 8.3, Kyoto project (ICT-211423), March 15, 2011, EU. Vossen P., L. Jones-Walters. 2nd KYOTO workshop on “Advanced Information Systems for sharing information and Knowledge about the Environment”, Gifu, Japan, January 25-28, 2011, Research Report Deliverable 11.3, Kyoto project (ICT-211423), March 15, 2011, EU. Vossen P., L. Jones, Walters, A. Schrauwen, A. Torre Marin, K. deBoom, A. Toral, A. Marchetti, G. Rigau. Domain Extension of Wordnets, Research Report Deliverable 8.4, Kyoto project (ICT-211423), March 15, 2011, EU. Vossen P., F. Hielkema . Search Engine Client, Research Report Deliverable 9.2, Kyoto project (ICT-211423), March 15, 2011, EU. Vossen P., J. de Jonge, F. Hielkema. Capture Module,Research Report Deliverable 3.1, Kyoto project (ICT-211423), March 15, 2011, EU. Vossen P., F. Hielkema, S. Soman, H. Kolb. Indexing Module, Research Report Deliverable 4.1, Kyoto project (ICT-211423), March 15, 2011, EU. Bosma W., P. Vossen, H. van der Vliet. Concept Miners Revised, Research Report Deliverable 5.3, Kyoto project (ICT-211423), March 15, 2011, EU. Rigau G., A. Soroa, P. Vossen, B. Zapirain, E. Laparra, E. Agirre, K. Gojenola, A. Casillas, A. de Illarraza, K. Fernandez. Fact miners revised, Research Report Deliverable 5.4, Kyoto project (ICT-211423), March 15, 2011, EU. Rigau G., A. Soroa, E. Laparra, K. Fernandez, K. Gojenola, A. Casillas, A. Diaz de Illarraza, P. Vossen. “Fact miners revised”, Research Report Deliverable 5.4, Kyoto project (ICT-211423), November 1, 2010, EU. Akker v.d. C., L. Aroyo, A. Cybulska, M. van Erp, P. Gorgels, L. Hollink, C. Jager, S. LegÍne, L.van der Meij, J. Oomen, J. van Ossenbruggen, G. Schreiber, R. Segers, P. Vossen, B. Wielinga. “Automatic Metadata Enrichment and Linking for Event-driven Access to Distributed Collections”. SIREN//NL, Veldhoven, December 2010. (Best Poster as chosen by the audience). Vossen P. Annual Public Report on “KYOTO”, Kyoto project (ICT-211423), November 2010, EU. Vossen P. W. Bosma, G. Rigau, E. Agirre, A. Soria, C. Aliprandi, J. de Jonge, F. Hielkema, M. Monachini, R. Bartolini. “KyotoCore: integrated system for knowledge mining from text”, Research Report Deliverable 10.2, Kyoto project (ICT-211423), April 14, 2010, EU. .Bosma W., P. Vossen. “Concept miners revised”, Research Report Deliverable 5.3, Kyoto project (ICT-211423), April 13, 2010, EU. Vossen P., R. Segers, A. Hicks, A. Herold, G. Rigau, E. Agirre, A. Estarrona, M. Cuadros, E. Laparra, K. Kanzaki. “Wordnets mapped to central ontology -revised”, Research Report Deliverable 6.6, Kyoto project (ICT-211423), April 3, 2010, EU. ¡lvez J., M. Hermo, E. Laparra, G. Rigau, A. Hicks, Ch. Fellbaum, P. Vossen. “Central Ontology – revised”, Research Report Deliverable 6.5, Kyoto project (ICT-211423), April 2, 2010, EU. Vossen P., L. Jones-Walters, A. Schrauwen, A. Torre-Marin, K. de Boom, A, Toral, A, Marchetti, G. Rigau, M. Cuadros. “Domain extension of wordnets & central ontology – version 1”, Research Report Deliverables 8.1 and 8.2., Kyoto project (ICT-211423), March 31, 2010, EU. Vossen P., F. Hielkema. Search Engine Client”, Research Report Deliverable 9.2, Kyoto project (ICT-211423), March 31, 2010, EU. Rigau G., P. Vossen, E. Agirre., J. ¥Alvez, Ch. Fellbaum, M. Hermo, A. Hicks, P. Lucio, A. Marcheti. “Automatic Deduction and Inferencing Techniques”, Research Report Deliverable 6.4, Kyoto project (ICT-211423), March 22, 2010, EU. Vossen P., F. Hielkema, C. Aliprandi, G. Rigau, Ch. Fellbaum, M. Monachini, H. Isahara, F. Bond, S. Hsieh, L. Jones-Walters, K. de Boom. Draft Exploitation and Dissemination Plan, Research Report Deliverable 10.1, Kyoto project (ICT-211423), March 12, 2010, EU. Rigau G., A. Soroa, E. Agirre, E. Laparra,P. Vossen, W. Bosma, A. Marchetti, M. Tesconi, C. Alipandri, S. Hsieh, H. Isahara, K. Kanzaki. Concept Miners version 1, Research Report Deliverable 5.1, Kyoto project (ICT-2114 23), October 27, 2009, EU. Vossen P., Hielkema F.. Search Engine Client, Research Report Deliverable 9.2, Kyoto project (ICT-2114 23), September 27, 2009, EU. Aliprandi C., Neri F., Marchetti A., Ronzano F., Tesconi M., Soria C., Monachini M., Vossen P., Bosma W., Agirre E., Artola X., Diaz de Ilarraza A., Rigau G., Soroa A.. Database Models and Data Formats, Research Report Deliverable 2.1, Kyoto project (ICT-2114 23), July 6, 2009, EU. Vossen, L, Jones-Walters, K. de Boom. Early Dissemination Plan KYOTO”, Research Report Deliverable 11.4, Kyoto project (ICT-211423), March 3, 2009. Herold A., A. Hicks, R. Segers, P. Vossen, G. Rigau, E. Agirre, E. Laparra, M. Monachini, A. Toral, C. Soria. “Wordnets mapped to Central Ontology”, Research Report Deliverable 6.3, Kyoto project (ICT-211423), March 2, 2009. Vossen P., S. Soman, H. Kolb. “Indexing module KYOTO”, Research Report Deliverable 4.1, Kyoto project (ICT-211423), March 2, 2009. Vossen. “Design of showcase DVD KYOTO”, Research Report Deliverable 11.5, Kyoto project (ICT-211423), March 2, 2009. Vossen P., K. de Boom, L. Jones-Walters, A.Torre-MarÌn. “First KYOTO Workshop: Environmental knowledge transition and exchange, Research Report Deliverable 11.2, KYOTO project (ICT-211423), February 25, 2009. Vossen P., E. Glaser. “Capture module”, Research Report Deliverable 3.1, Kyoto project (ICT-2114 23), December 24, 2008, EU. Fellbaum Ch., A. Hichs, L. Jones-Walters, A. Marchetti, G. Rigau, C. Soria, P. Vossen. “Accumulated Knowledge”, Research Report Deliverable 6.1, Kyoto project (ICT-2114 23), December 24, 2008, EU. Vossen P., K.de Boom, A. Schrauwen. “User Scenarios”, Research Report Deliverable 9.1, Kyoto project (ICT-2114 23), October 30, 2008, EU. Vossen P., W. Bosma, A. Marchettti. “Overall System Design”, Research Report Deliverable 2.2, Kyoto project (ICT-211423), September 29, 2008, EU. Bosma W., Vossen P,. “Fact Annotation for KYOTO”, Research Report Working Paper 2, TR006, Kyoto project (ICT-2114 23), September 16, 2008, EU. Aliprandi C., Marchettti A., C. Soria, P. Vossen, W. Bosma, E.Aggire, G. Rigau.. “Database Models and Data Formats”, Research Report Deliverable 2.1, Kyoto project (ICT-211423), August 31 2008, EU. Marchettti A., F, Ronzano, M. Tesconi, C. Soria, M. Monachini, P. Vossen, W. Bosma. “XML Schema for WordNet and Ontology”, Research Report Deliverable 7.1, Kyoto project (ICT-211423), July 1, 2008, EU. Vossen P., W.Bosma. “The representation of Terms” , Research Report Working Paper 2, TR004,†Kyoto project†(ICT-2114 23), June 23, 2008, EU. Vossen†P. “User Scenarios Wikyoto”, Research Report Working Paper 2, TR001,†Kyoto project†(ICT-2114 23), June 19, 2008, EU. Vossen, Piek, Elton Glaser, Mihaela Gradinaru, Rachel van Steenwijk, Hetty van Zutphen. Integration in TwentyOne Search and validation on the EFE Fototeca database, WP8.2. Deliverable 8.2, MEANING, IST-2001-34460, Irion Technologies BV, Delft, The Netherlands, 2005. Vossen, Piek, Elton Glaser, Mihaela Gradinaru, Rachel van Steenwijk, Hetty van Zutphen. MEANING-full Effects in Information Retrieval, WP8.3. Deliverable 8.3, MEANING, IST-2001-34460, Irion Technologies BV, Delft, The Netherlands, 2005. Vossen, P., E. Glaser, H. Van Zutphen, R. Steenwijk. Validation of MEANING (plus separate†appendixes), Deliverable 8.1, MEANING, IST-2001-34460, Irion Technologies BV, Delft, The Netherlands. Vossen P. EuroWordNet General Document, EuroWordNet Project LE2-4003; LE4-8328 report, University of Amsterdam. VossenP. EuroWordNet Final Report. EuroWordNet (LE-4003 and LE-8328) Deliverable D041, University of Amsterdam. Vossen, P., C. Kunze, K. Pala, K. Vider, L. Catherin. Compared & Restructured wordnets for BCs in French, German, Czeck and Estonian. EuroWordNet (LE-4003) Deliverable D014D015, University of Amsterdam. Vossen, Piek, L.Bloksma, P. Boersma. The Dutch Wordnet. EuroWordNet Paper, July 12, 1999, University of Amsterdam. Vossen, Piek, G. Escudero. Comparison of the Final Wordnets German, French, Czeck and Estonian. EuroWordNet (LE4-8328) Deliverable 2D011D01, WP3,WP4, September 26,1999, University of Amsterdam. Vossen, Piek, S. Climent, M.Marti, M.Taule, J.Gonzalo, I.Chugur, M. Felisa Verdejo, G. Escudero, G. Rigau, H. Rodriguez, A. Alonge, F. Bertagna, R. Mainelli, A. Roventini, L. Tarasi. Comparison of the Final Wordnets Dutch, Spanish and Italian. EuroWordNet (LE2-4003) Deliverable D029,D030,WP3,WP4, July 16, 1999, University of Amsterdam. Vossen, P., L. Bloksma, W. Peters, C. Kunze, K. Pala, K. Vider, F. Bertagna. Extending the Inter-Lingual-Index with new concepts. EuroWordNet (LE2-4003) Deliverable 2D010, August 2, 1999, University of Amsterdam. Vossen, Piek, G. Escudero. Final Wordnets for Czech, Estonian, French and German. EuroWordNet (LE4-8328) Deliverable 2D014, WP3,WP4, September 26,1999, University of Amsterdam. Vossen, P. The EuroWordNet Annual Report 1998. EuroWordNet (LE-4003) Deliverable D026, University of Amsterdam. Vossen, P., L. Bloksma, S. Climent, M. Antonia Marti, G. Oreggioni, G. Escudero, G. Rigau, H. Rodriguez, A. Roventini, F. Bertagna, A. Alonge, C. Peters, W. Peters. The Restructured Core wordnets in EuroWordNet: Subset1. EuroWordNet (LE-4003) Deliverable D014D015, University of Amsterdam. Vossen, P., L. Bloksma, P. Boersma, F. Verdejo, J. Gonzalo, H. Rodriquez, G. Rigau, N. Calzolari, C. Peters, E. Picchi, S. Montemagni, W. Peters. EuroWordNet Tools and Resources Report.EuroWordNet (LE-4003) Deliverable D021D025, University of Amsterdam. Vossen, P., L. Bloksma,S. Climent, M. A. Marti, M. Taule, J. Gonzalo, I. Chugur, M. F. Verdejo, G. Escudero, G. Rigau, H. Rodriguez, A. Alonge, F. Bertagna, R. Marinelli, A. Roventini, L. Tarasi. EuroWordNet Subset2 for Dutch, Spanish and Italian, EuroWordNet (LE-4003) Deliverable D027D028, University of Amsterdam. Vossen, P., C. Kunze, A. Wagner, D. Dutoit, K. Pala, P. Sevecek, K. Vider, L. Paldre, H. Orav, H. ’im. Set of Common Base Concepts, EuroWordNet-2 (LE-8328), Deliverable 2D001, University of Amsterdam. VossenP., L.Bloksma, H. Rodriquez, S. Climent, N. Calzolari, A. Roventini, F. Bertagna, A. Alonge, W. Peters. The EuroWordNet Base Concepts and Top Ontology. EuroWordNet (LE-4003) Deliverable D017D034D036, University of Amsterdam. Sanfilippo A., N. Calzolari, S. Ananiadou, R. Gaizauskas, P. Saint-Dizier, P.†Vossen†(Eds). EAGLES, Prelimenary Recommendations on Semantic Encoding. Eagles Interim Report. February, 1988. Vossen, P. The EuroWordNet Annual Report 1997. EuroWordNet (LE-4003) Deliverable D026, University of Amsterdam. Vossen, P. Coding the Semantic Relations for basic Nouns and Verbs. Deliverable D010D011. LE-4002. Amsterdam. Hyland, P., Koch, H.-D., Sutcliffe, R. F. E.,†Vossen, P. Selecting Information from Text (SIFT)†Final Report. Sift (LRE-62030 Deliverable D61. Luxembourg, Commission of the European Communities, DGXIII/E5. Vossen, Piek, Annelies Bon, and Ton Donker. The semantic features in the Sift Lexicon, Sift deliverable D20b, LRE 62030. Computer Centrum Letteren, University of Amsterdam. Vossen, Piek and Ton Donker. The Subvocabulary in the Sift project, Sift deliverable D47, D47a and D51, LRE 62030, Computer Centrum Letteren, University of Amsterdam. Vossen, Piek. Semantic cases in the Sift Lexicon, Sift deliverable D31 and D33a, LRE 62030, Computer Centrum Letteren, University of Amsterdam. Vossen, P. The EuroWordNet-project: Building a Multilingual Wordnet Database with Semantic Relations between Words. In: Proceedings of the LE-Launch-conference, Luxembourg, 11-12 January. p. 13-22. Bloksma, L., P. DÌez-Orzas, P. Vossen. User requirements and functional specification of the EuroWordNet project, EuroWordNet (LE-4003) deliverable D001, Computer Centrum Letteren, University of Amsterdam. Vossen, P. EuroWordNet (LE-4003) deliverable D002, Computer Centrum Letteren, University of Amsterdam. Vossen, P. The EuroWordNet project, Technical Annex, EuroWordNet deliverable D000, Computer Centrum Letteren, University of Amsterdam. Vossen P. Grammatical and Conceptual Individuation, Acquilex II WP, Esprit BRA 7315, Computer Centrum Letteren, University of Amsterdam. Vossen P. Distinguishing Levels in Noun Taxonomies, Acquilex II working paper, Esprit BRA 7315, Computer Centrum Letteren, University of Amsterdam. Donker, Ton and Piek†Vossen. The SIFT Syntactic Lexicon, Sift deliverable D21, LRE 62030, Computer Centrum Letteren, University of Amsterdam, December 1994. Vossen, P. Extracting equivalence relations for a multilingual lexical knowledge base, Esprit BRA-7315 Acquilex WP 014, July 1993, CCL, Universiteit van Amsterdam. Copestake A., B. Jones, A. Sanfilippo, H. Rodriguez, P.†Vossen, S. Montemagni, E. Marinai. Multilingual Lexical Representation, Esprit BRA-3030 Acquilex Working Paper 043, University of Amsterdam. Vossen†P. Comparing noun-taxonomies cross-linguistically, Esprit BRA-3030 Acquilex Working Paper 014, University of Amsterdam. Vossen†P. Converting data from a lexical database to a knowledge base, Esprit BRA-3030 Acquilex Working Paper 027, University of Amsterdam. Vossen†P., I. Serail. Word-Devil: A taxonomy browser for decomposition via the lexicon. Esprit BRA-3030 Acquilex Working Paper 009. University of Amsterdam. Vossen†P. A Parser-grammar for the Meaning Descriptions of the Longman Dictionary of Contemporary English. Technical Report NWO, project no. 300-169-007, University of Amsterdam. Vossen P. Getting to grips with the structure of the Van Dale Dictionary, Esprit BRA-3030 Acquilex Working Paper No. 002, University of Amsterdam.